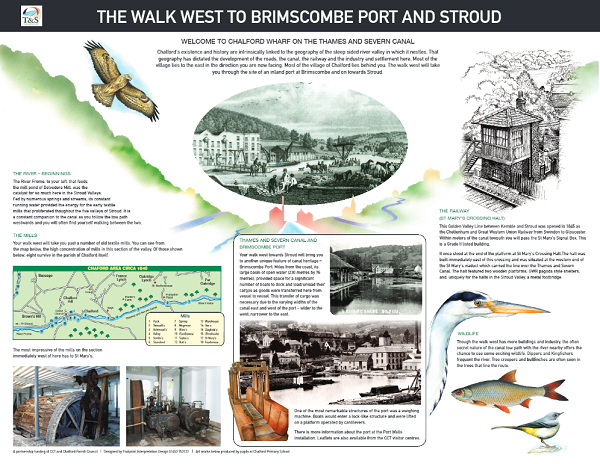 The following two interpretation panels were commissioned in 6mm ecoDURA as part of the restoration project of the Stroudwater Navigation and Thames & Severn Canal. “The inspiration is to see the canal corridor providing a main route for people and wildlife alike. 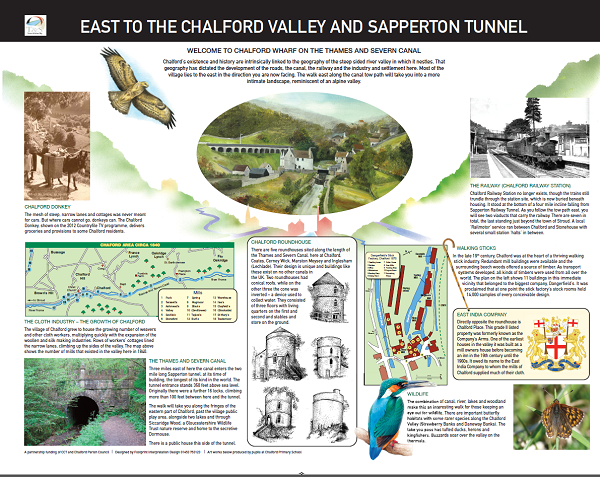 The illustrations are aimed at all ages and reflect historic and cultural aspects of the area as well as the wildlife”.